Results: 1 - 31 of 69 for "ken spelman"
Minutes of the General Meeting. Highlights of the London International Antiquarian Book Fair Include Literary Legends from Sherlock Holmes to the Great Gatsby. be held in the National Hall at Olympia (London W14) from Thursday, 13th June to Saturday, 15th June, 2013 has more than 180 exhibitors, who are travelling in from all corners of the globe. Brian Lake – New President of the Antiquarian Booksellers’ Associaton (ABA). Congratulations! At the Annual General Meeting in York last Wednesday Brian Lake of Jarndyce Books (London) was elected new President and Michael Graves-Johnston (known universally as Oscar) was elected Vice President. A MEMOIR OF THE YORK PRESS. With Notices of Authors, Printers, and Stationers, in the Sixteenth, Seventeenth, and Eighteenth Centuries. Item for sale BIBLIOGR. ].|DACIES, ROBERT [BERNARD BARR - INTROD. A Memoir of the York Press. With notices of authors, printers and stationers, in the sixteenth, seventeenth and eighteenth centuries. A Sentimental Journey through France and Italy. By Mr Yorick. The fourth edition. 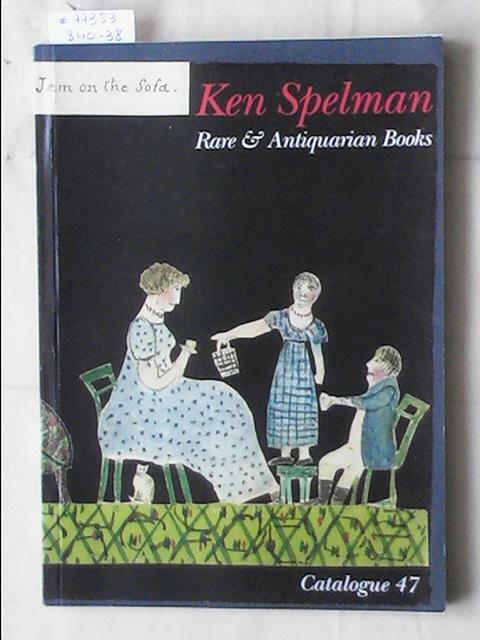 Item for sale SPELMAN, KEN - YORK. 638 nos. 111pp. Subject index. Wrs. 638 nos. 111pp. Subject index. Wrs. .
Catalogue 19 / 1991 Ornament, Design and Fine Art, Architecture, Landscape Design, Garden History and Agriculture, Illustrated Books, Literature and History, Grammar, Philosophy and Education, Rhetoric and Gesture, Military and Naval, Theology, . illus. in B/W 78 pp. 360 nos. ; 8vo. Wrs.. illus. in B/W 78 pp. 360 nos. ; 8vo. .
88 pp. 448 nos. Illus in b/w. Cover in color. Wrs. 88 pp. 448 nos. Illus in b/w. Cover in color. Wrs. .
from 24 nos to 482 nos. illus. b/w and colour. ; 8vo. Wrs.. from 24 nos to 482 nos. illus. b/w and colour. 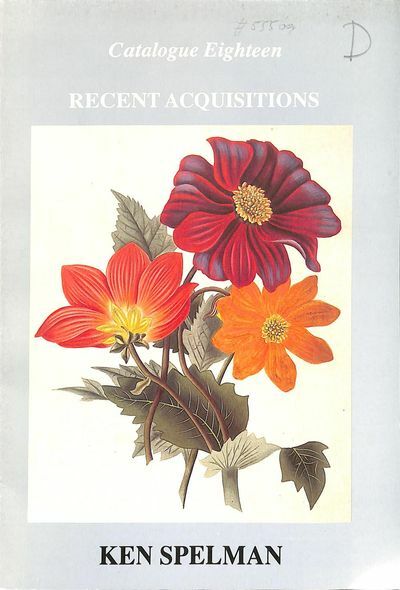 ; 8vo. .
Catalogue 41/n.d: Rare & Antiquarian Books, Manuscripts & Watercolours, Spring Collection, Art, Architecture & Design, Gardens, Landscape & Agriculture, Picturesque Travel & the Lake District, Italy & the Grand Tour, Illutrated Books & Bindings, . Wrs.. 383 nos. 101 pp. illus. in b/w; 8vo . Catalogue 47/n.d: Rare & Antiquarian Books, Art, Architecture & Design, Gardens & Agriculture, Travels to Italy, France & Switzerland, Picturesque Travel in England, Illutrated Books, History & Literature, Addenda, Late Arrivals . Wrs.. 450 nos. 128 pp. Illus. in b/w. *Detailed description. ; 8vo . York, Ken Spelman, . 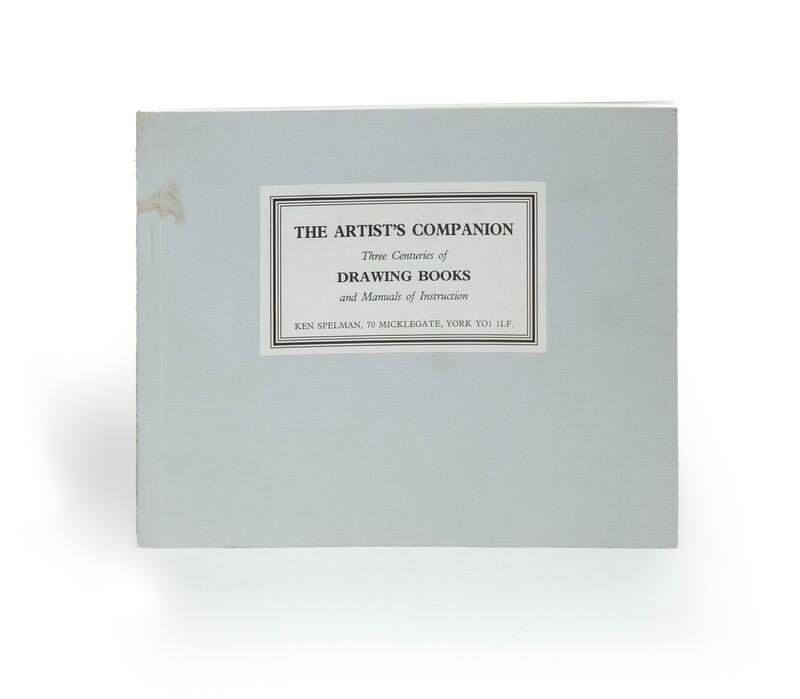 (18 × 21.5 cm), (2) 54 pp., illustrations.202 items; priced. Publisher's plain wrappers, printed label on upper cover. ¶ Stain on upper cover; otherwise an excellent, unmarked copy.